It is an understatement to say that Story Times at the Newcastle Library are outrageously popular, at times with over 150 people hoping for a seat in a Toddler Story Time session! To help with this demand each week our Children’s Librarian Ms. Tiger leads back-to-back Toddler Story Times, an Infant Story Time, and a Preschool Story Time. These programs help nurture a love of reading in children and work on social, emotional and motor skills not only through academics but through child-centered, play-based learning. Ms. Tiger is passionate about working with the preschool and under crowd. She is the mother of two small children herself and one of her most beloved aspects of Story Time is forming meaningful relationships with other caregivers and parents, over the joys as well as the anxieties, that come along with caring for young children. To help serve Newcastle’s diverse community she also coordinates our weekly Chinese Play and Learn sessions and Japanese World Language Story Times. If you haven't seen one of Ms. Tiger’s Story Times, you may have seen her out in the community. Perhaps at City Hall when she partnered with the City of Newcastle for their Earth Day Eco Fair. She also visits Newcastle preschools and schools to inspire a love of reading. 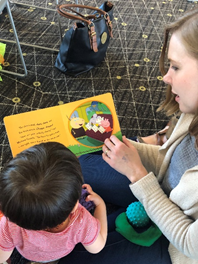 One of her favorite experiences is when a child visits the library and connects with her over their mutual excitement for a book that she shared during a school visit. During Summer Reading Ms. Tiger also makes sure to offer a variety of engaging events and workshops. The Rocks and Fossils Science Workshop was a big hit in 2018, and we know you'll enjoy what she's planned for 2019! 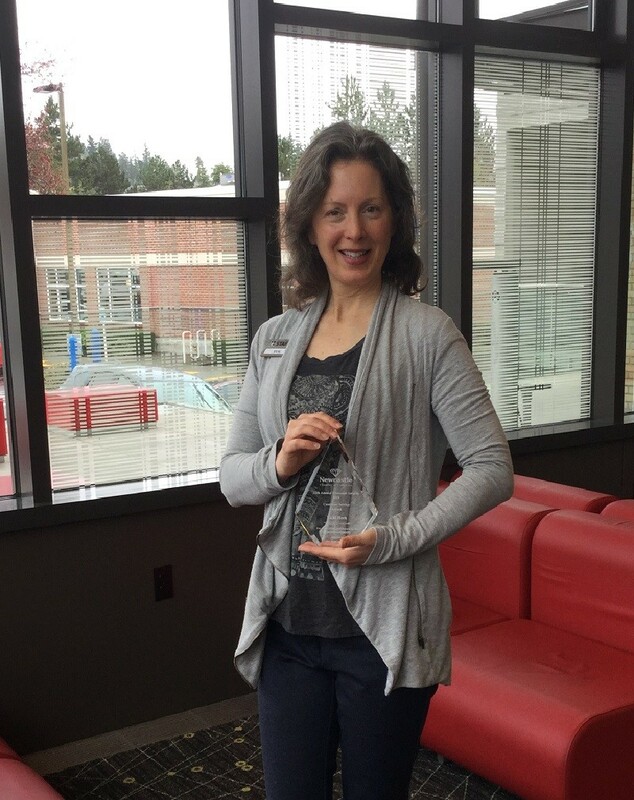 Our Teen Services Librarian, Jackie Lockwood, is a champion of creating spaces where teens can learn valuable skills. She also really listens to teens and parents about the programs they want at the library. In Newcastle Youth Community Engagement (NYCE), Jackie co-teaches event planning and leadership skills to teens with the City of Newcastle's Community Activities Coordinator, Wendy Kirchner. They work together to nurture a space where teen voices and opinions are valued, and help teens develop and present programs and events for Newcastle residents to enjoy. In 2018, NYCE presented the Newcastle Teen Film Contest. The library offered workshops on film making at the start of the contest, and the city showed the winning films at their summer movie night at Lake Boren Park. Jackie loves hearing all of the teens’ creative ideas, and seeing how much they have learned from the experience. The story of how Jackie started a Girls Who Code Club at the library is a great example of how she listens to what the community wants. 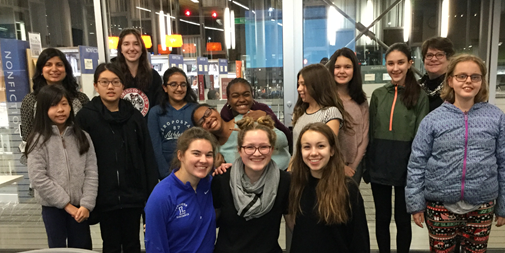 After she was approached by the teen president of the Newport High Girls Who Code Club about running a one day Hour of Code program for elementary school students, Jackie worked with the girls to make it happen and noted the huge number of participants at that event. She also met a female software engineer who came to observe and find out how she could get involved in coding education. Jackie talked to her about becoming a facilitator for a brand-new Girls Who Code Club at the library, and moved to create the club as soon as possible. Now this weekly club provides girls in grades 6-12 an opportunity to learn the basics of coding, while also strengthening soft skills like bravery, resilience, and teamwork. Jackie added more to the program and brought in guest speakers from Microsoft. She is very proud of all the girls in the club for working hard to learn new things and challenge themselves when they’ve already had a long day at school. 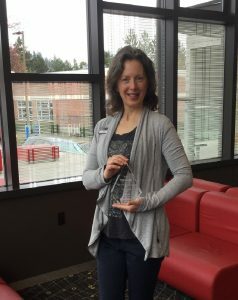 Our Adult Services Librarian, Vicki Heck, is an enterprising force of community and service. And deservedly, she won the 2018 Customer Service Award at the Newcastle Chamber of Commerce Diamond Awards! Vicki created programs and services with a lot of partner organizations in 2018. With the City of Newcastle, she developed a Newcastle Citizens Academy that was a response to community need. Following the 2017 Annual Town Hall and City Council Elections it became apparent that many residents didn't understand how City Government worked: how budgets are created; taxes; business; codes; etc. Council member Carol Simpson embarked with Vicki on creating Newcastle's Citizens Academy. It ran for 4-weeks and addressed all major city topics. With the Newcastle Arts Council, Vicki put a local artist exhibition on display at the library for the month of September. Many people came by the library that had never been, specifically to check out the art. Artists brought their friends and family, and we had a very successful Opening Night Reception. We had over 120 attending throughout the evening, with many positive responses and hopes for more art programs in the community. Vicki and the Arts Council are capturing this energy in 2019 with a monthly Art Club and a Local Area Youth Artist Open House and Exhibition. You can look at photos of the artwork on the Newcastle Library Facebook page! Vicki started a partnership with the Evergreen Association of Fine Arts that brought in an art rail to the meeting room and displays a rotating assortment of local artists from around King County. Her partnership with the Newcastle Historical Society brought several quality programs to the library such as Seattle’s First Railroad. She had a popular program with partner Newcastle Trails and hosted local author Eva Lundahl for a talk about her book 14 Shorter Trail Walks In and Around Newcastle. And she partnered with Aegis Gardens to provide the program How to Be a Friend to Someone with Dementia. On top of all that, we brought you a huge variety of programs and events in 2018. We had informative programs on how to compost, how to prepare for a disaster, and what factors affect college admissions. We brought two performances of Living Voices’ dramatic presentation on Japanese American internment to Risdon Middle School. We had art programs such as Picture Book Creation 101 with Dana Sullivan, the Meditative Art of Zentangle, and Calaca Paper Quilling. We brought you performances such as Tiger and the Dried Persimmon Puppet Show, and a West African Music and Dance Showcase. We provided STEM programs such as 3D pens, Hour of Code with Girls Who Code, and The Ear & The Brain Science Workshop. And we had fun programs for all ages like Library Game Day and the Dickens Carolers. With the support of the Friends of the Newcastle Library, we were able to offer even more programs and events than we could have otherwise. We loved a lot about our programs and events in 2018, but it's also important for us to note that the Newcastle Library and our friendly staff are here for you whenever you need help. Whether you are looking for a good book to read, finding information for a school paper, or connecting with other resources, our staff is ready to help you with your information needs into 2019 and beyond. Thank you for letting us serve you. We’ll see you at the Newcastle Library!